The Jozwiak family and friends met at St. Stanislaus Community Center in Chappell Hill, Texas the afternoon of September 10, 2011 for their very special 50th annual family reunion. The large crowd enjoyed fun, food, music and fellowship throughout the day beginning with a pot luck Polish lunch cooked by family members. At 2 pm, a special reunion Mass was celebrated by Fr. Józef Musiol and held in the beautiful old St. Stanislaus Catholic Church. Fr. Józef gave a wonderful homily complete with a Polish history lesson and Mike Addicks, Brian Marshal, Jakub Marshall and Dr. Jim Mazurkiewicz played and sang Polish hymns during the Mass. For much of the afternoon, there was curious site in front of the church. 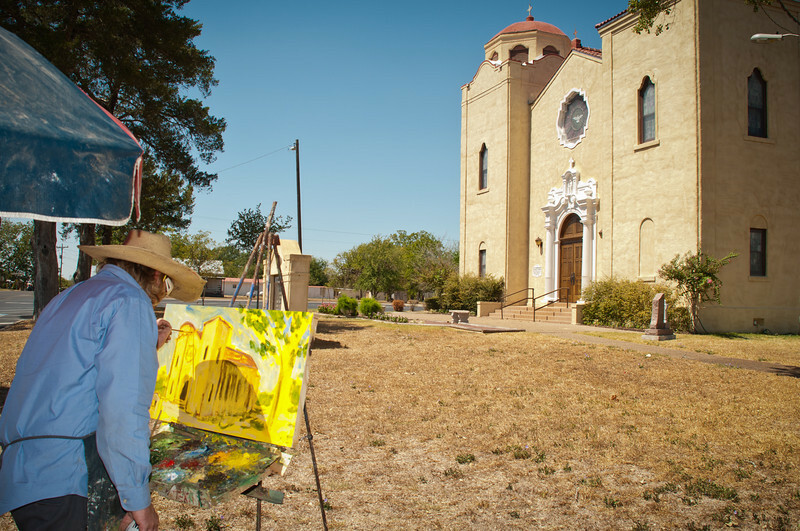 Even though it was close to 100 degrees outside, well known Houston artist Brian Zievert had set up a canopy for shade and was busy creating an oil painting of the church. 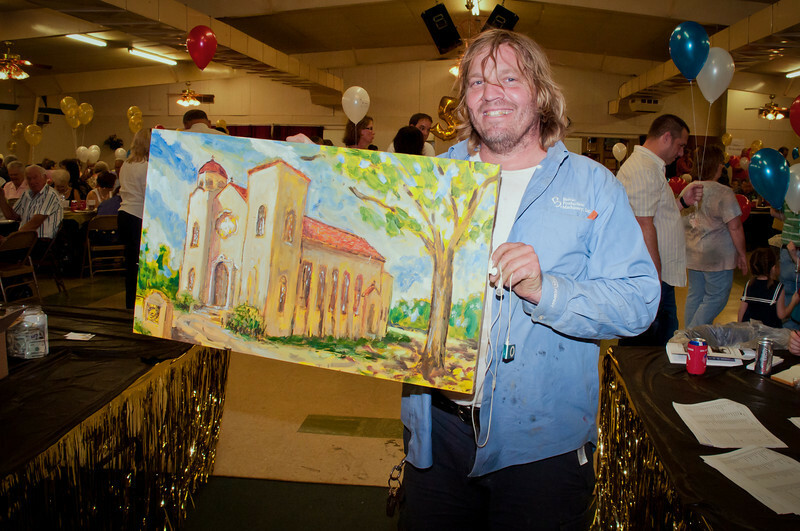 Zievert finished the beautiful painting that evening and while the paint was still wet it was auctioned off for a considerable sum as a reunion fund raiser. 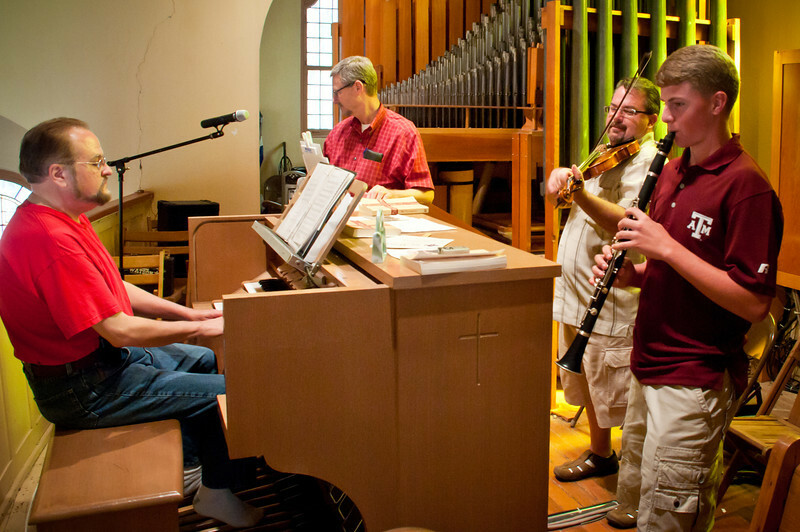 After Mass, attendees continued eating, drinking and socializing while strolling musicians Brian Marshall, Jakub Marshall, Ronnie Dutka, Frank Motley, Lawrence Wisnoski and Dr. Jim Mazurkiewicz roamed around the room and played Polish music. Throughout the day, reunion president Brian Wisnoski and his volunteers drew tickets and gave out door prizes and raffle prizes. 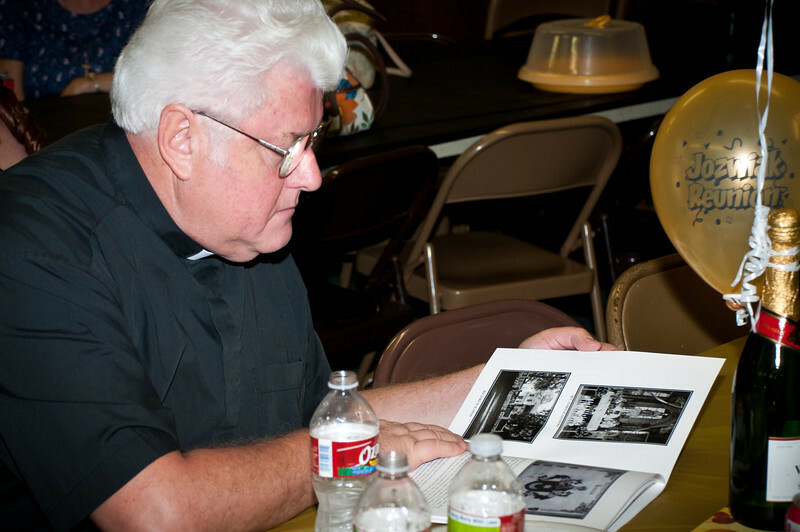 A popular item at this years reunion was a family history book written and published by Lawrence Wisnoski and Virginia Felchak Hill. 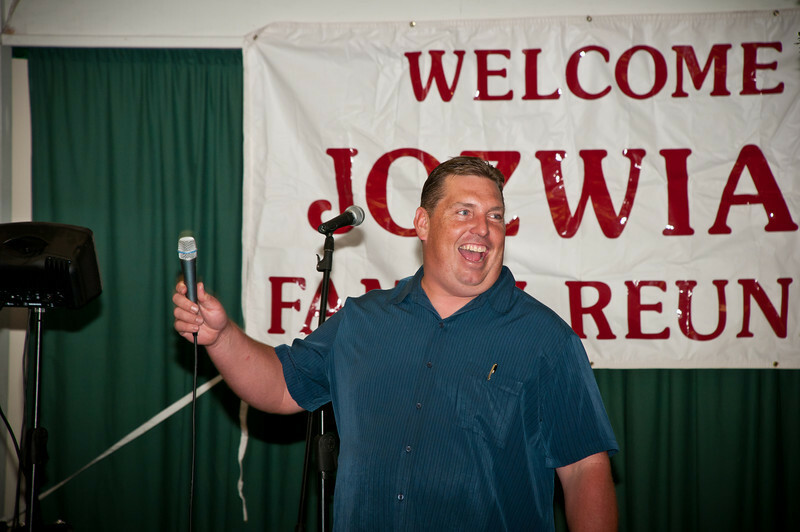 The book traced the Jozwiak family back to the 1700’s and also contained many old photos of the family. Not surprisingly, two large boxes of the books quickly sold out. Face painting and a magic act by Matilda the Clown kept the children entertained. While the clown was doing her magic show, a delicious catered barbecue brisket and sausage dinner was served by Carl’s Barbecue with lots of beer, soft drinks and homemade desserts. 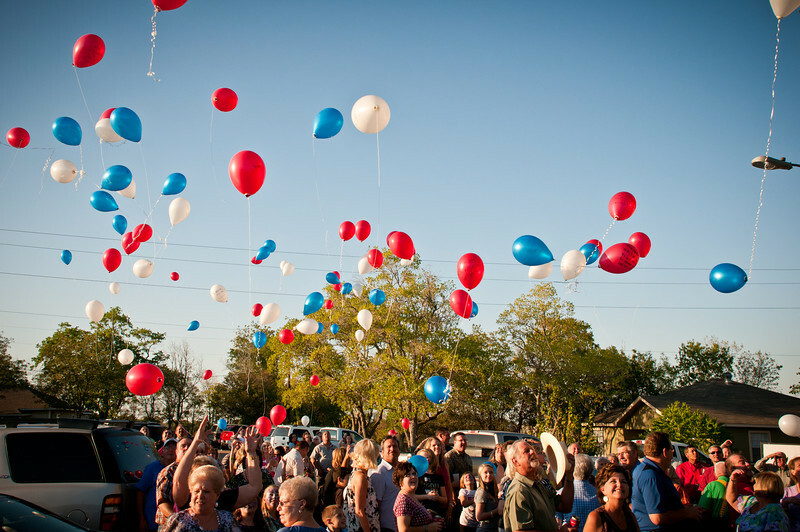 After the evening meal, there was a special event where family members blew up colorful balloons marked with memories of their departed loved ones and released them all at once, watching while they soared to the heavens. 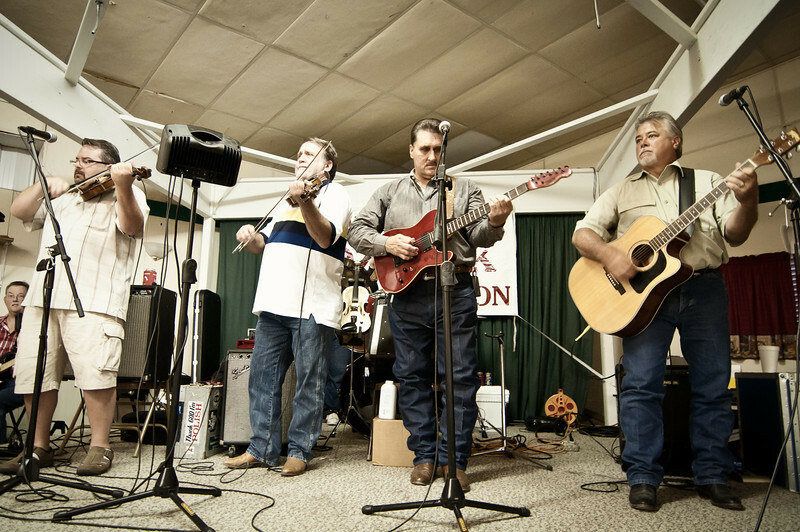 In the evening, the dancers in the crowd were kept busy with good old Polish and Texas country music by Brian Marshall and the Tex-Slavic Playboys with as talented a group of musicians as you’ll ever find. Among the musicians and singers were Brian Marshall, Eddie Marshall, Sonny Janczak, Kevin Syzdek, Ronnie Dutka, Chuck Bolin, Jakub Marshall, Dr. Jim Mazurkiewicz, James Mazurkiewicz, Frank Motley, Lawrence Wisnoski, Brian Wisnoski, Luke Wisnoski and Charlie Brossman. Cory McCauley played a few cajun tunes on the sidelines and Albine Januszewski sang a Polish song before the evening was over.